Lingual Braces vs Invisalign | Which Is Right For You? Lingual Braces vs Invisalign: Which one should you choose? There are many options available for straightening crooked teeth or closing minor gaps between them. While more traditional methods tended to involve unsightly, metal braces fixed to the front of the teeth with think wires and brackets, there is a wider choice of aesthetically appealing methods nowadays that are practically invisible once installed inside the mouth. Gone are the days of keeping your mouth firmly shut when you smile -thank goodness! Lingual braces work in the same way as traditional metal braces, in that they attach directly onto the teeth and apply constant pressure to move them into the desired position. However, the big difference is that they are installed behind the teeth thus offering a far more discreet method of treatment. Lingual braces fix permanently to the teeth and the correction takes about the same to achieve as traditional braces, i.e. between one and two years. Another name for them is incognito braces, for fairly obvious reasons. Just as with traditional braces, lingual braces must be kept as clean as possible, with careful brushing to avoid a build-up of tartar and plaque on the teeth underneath. Avoid eating sticky foods like toffee or things that could get stuck in the brace more easily, such as popcorn. 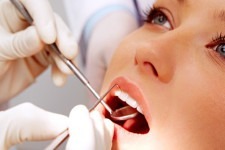 Lingual braces are fitted by an orthodontist, who will first take an impression of your teeth to ensure a perfect fit. Each lingual brace is created individually to correct the precise issue or issues that your dentist and/or orthodontist will have discovered with the alignment of your teeth. 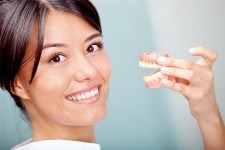 Once the brace has been created and adjusted to obtain an exact fit, it is fixed into place behind the affected teeth using metal brackets and wires to keep it firmly in place. 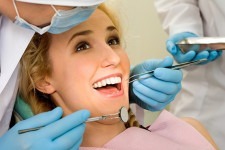 Invisalign braces are another popular method of straightening crooked teeth. They are highly commended in the dental world as a comfortable and convenient realignment method. They comprise a set of clear, plastic realigners that press against the teeth to move them into the right place. After the initial dental orthodontics consultations are completed and impressions were taken, the first in your set of clear plastic braces are custom-made using digital software and fitted by your orthodontist for a precise fit. Normally, you will wear your new brace for between 20 and 22 hours per day. You can remove it when you eat and when you need to brush and floss your teeth. Treatment normally lasts between one and two years. Every few weeks, you must return to the orthodontist to receive a new Invisalign brace that will also be custom-made digitally to reflect and fit the new positions that your teeth will have moved into since your previous appointment. 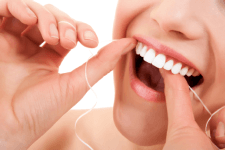 Towards the end of your treatment, you will move on to having a discreet fixed retainer against the back of your teeth to hold them in their new position. Added to that, a removable retainer will be provided for wearing periodically at night. This step is crucial in order to keep your teeth in their new position and to avoid any moving back out of place. Which is better Lingual Braces or Invisalign? There are pros and cons to both lingual and Invisalign braces. It is up to the individual patient, in consultation with his or her dentist and orthodontist, to choose their preferred approach. Lingual braces offer the aesthetic advantage of being placed behind the teeth, making it impossible for others to detect them unless they look closely while the person wearing the brace is speaking. This approach also helps protect the front of the teeth, avoiding tartar or plaque build-up on the front and lowering the chance of unsightly decalcification spots appearing. Invisalign braces also offer aesthetic advantages as they are clear and made from plastic and can be removed for more thorough cleaning. They are more complex to keep clean, however, as you must keep them in a special tray using a properly recommended cleaning solution. You can also run the risk of losing them when you take them out of your mouth. On the plus side, they can be removed for important social occasions to help boost your confidence. Just don’t forget to put them back in again afterwards to ensure your treatment can continue. Another advantage to lingual braces is that they help avoid problems for people who play musical instruments, such as the clarinet, oboe or flute, as they don’t get in the way of the mouthpiece and thus musical quality needn’t be affected. Likewise, sports enthusiasts can still wear mouthguards that fit closely to their teeth and so protect against sudden impacts during play. possible irritation on the tongue behind the teeth as it is in constant contact with the metal brackets holding the brace in place. Another disadvantage is that some people might find their speech changes slightly, especially in the early days. This normally corrects itself after two or three weeks as you get used to talking ‘around’ the brace. Invisalign braces offer a more comfortable treatment, correcting crooked teeth and overbites in a pain-free, convenient way. Invisalign will also not affect your speech and are replaced every few weeks to ensure the fit remains precise and discomfort minimal. In other words, lingual braces versus Invisalign braces means advantages and disadvantages for each. 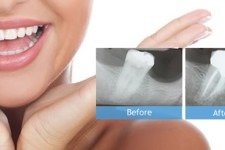 All appropriate teeth realignment options should be discussed thoroughly between you and your dentist and orthodontist before any treatment begins. 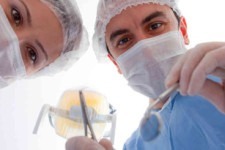 Want to find out what the key difference between a dentist and orthodontist is?